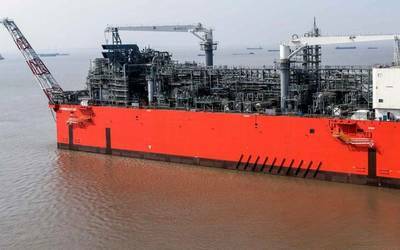 Singapore-based First Ship Lease Trust (FSL Trust) Management has entered into a letter of intent with China’s Cosco Shipping Heavy Industry (Yangzhou) to order two LR2 product tankers, fitted with scrubbers, for around $97.2m. The two 114,000 dwt Tier III LR2 product tankers are expected to be delivered to the Purchasers in November 2020 and January 2021 respectively, said a stock exchange annoucement from the business trust which owns a fleet of vessels across major shipping sub-sectors. "The newbuilding acquisition is being undertaken as part of the renewal of FSLT’s aging fleet. The newbuilding acquisition, if completed, is expected to reduce the age profile of FSLT’s fleet significantly and enhance its commercial attractiveness and marketability," stated FSL Trust Management, the trustee-manager of FSL Trust. “The new vessels will be constructed according to newer designs and utilise new technologies. As the new vessels will be more affordable to operate and able to carry a variety of cargoes, it is expected that they will be more efficient and easier to charter to counterparties compared to the vessels in FSL Trust’s current fleet,” said the statement.